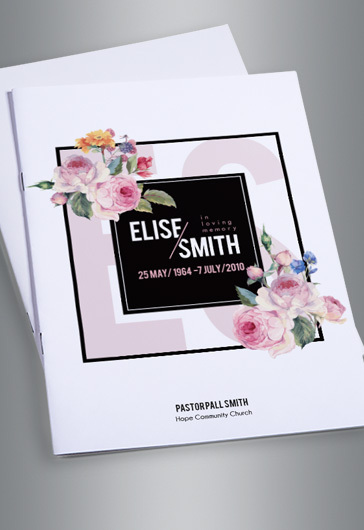 Are you looking for a professionally designed, print-ready funeral brochure design to for your personal or design need? 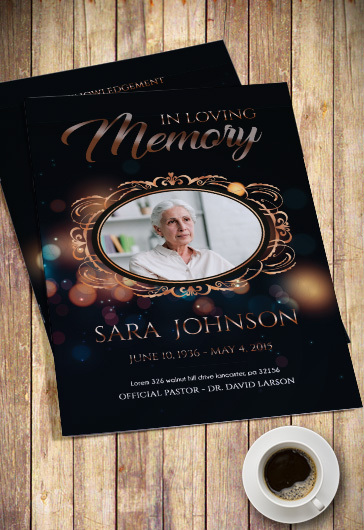 The funeral ceremony is the best way to pay homage to the one you loved or respected. 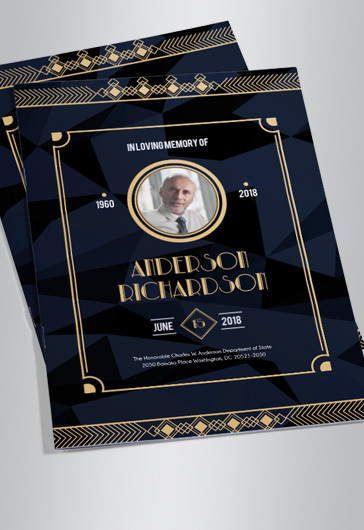 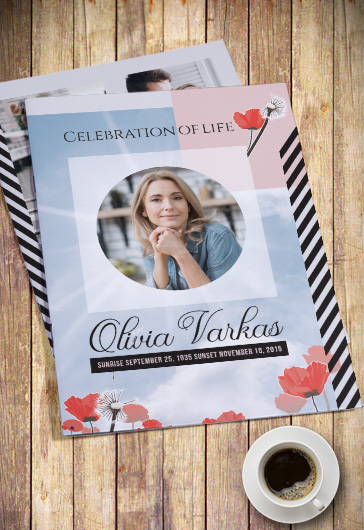 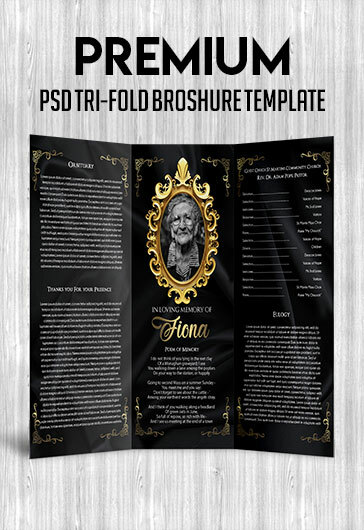 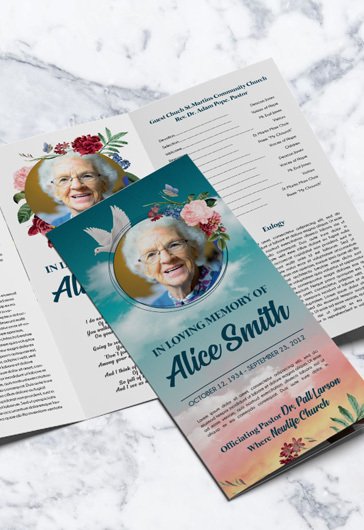 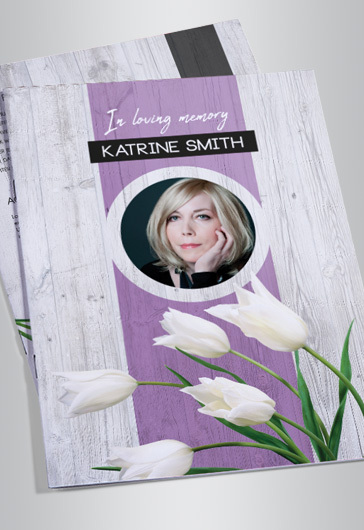 We have designed an elegant and absolutely free funeral program PSD template which can easily include the photos of the diseased, the information about the funeral date and place, the kind words about the diseased person, etc. 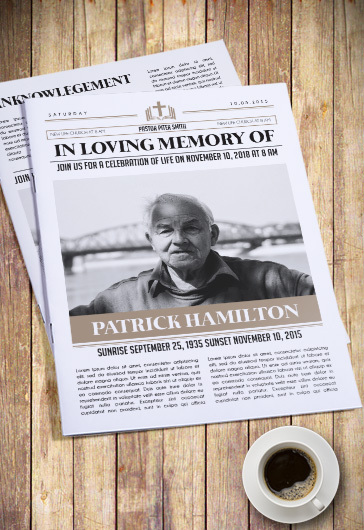 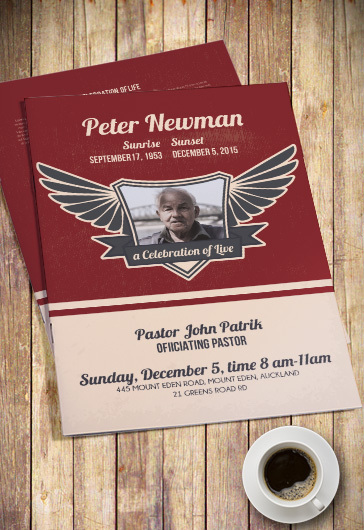 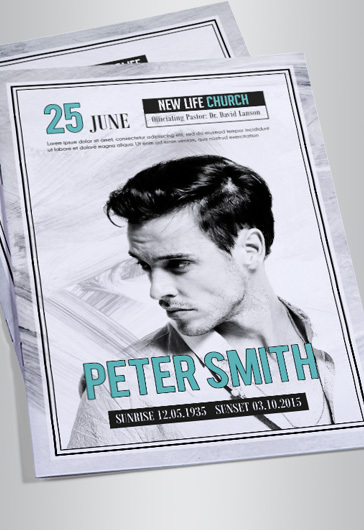 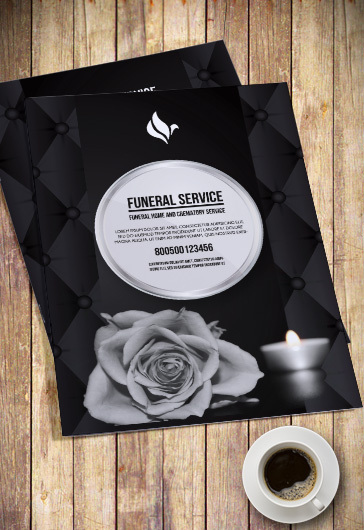 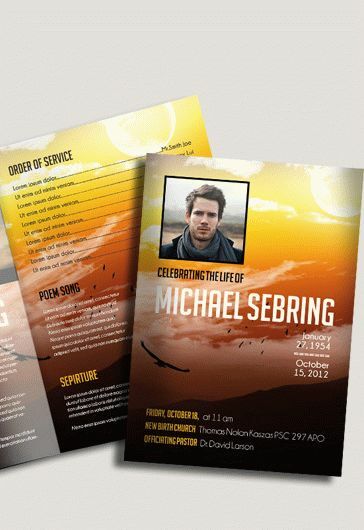 The design of this free funeral program PSD is made of dark colours with elegant fonts. 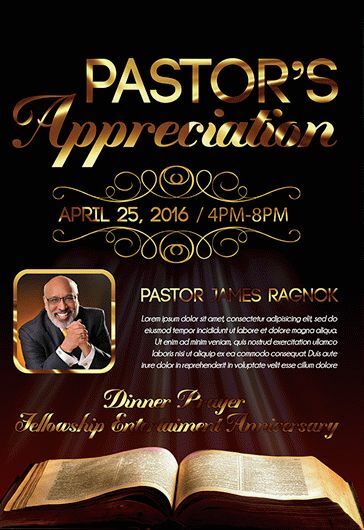 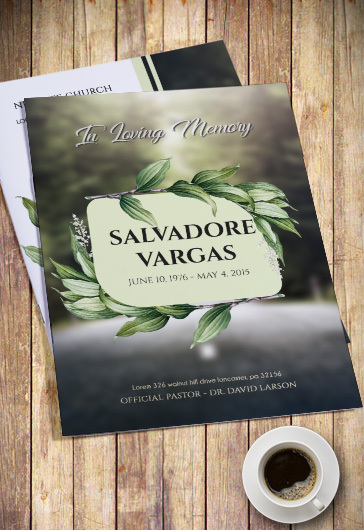 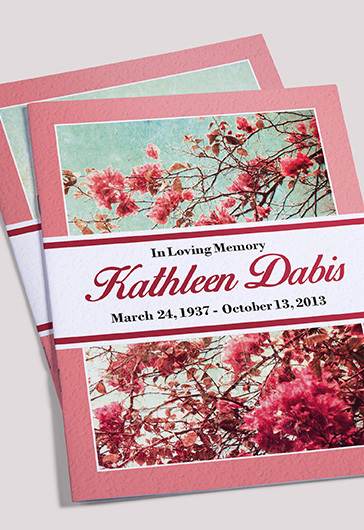 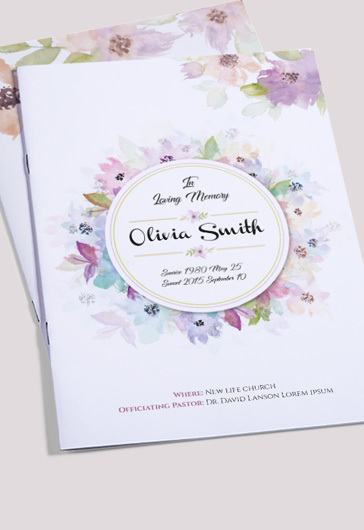 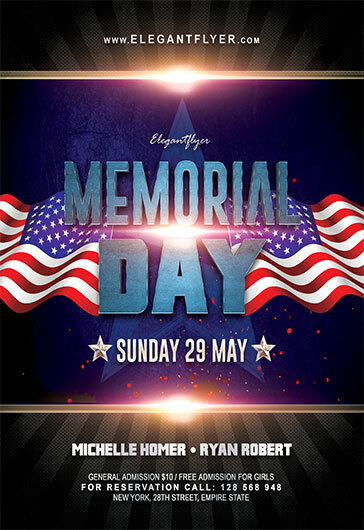 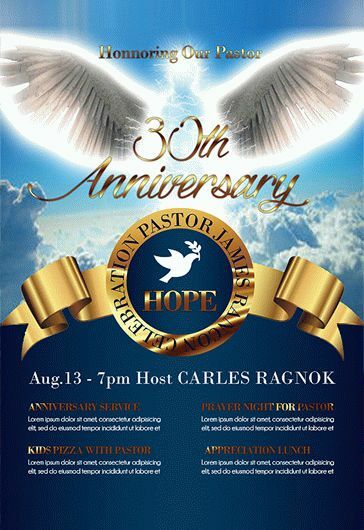 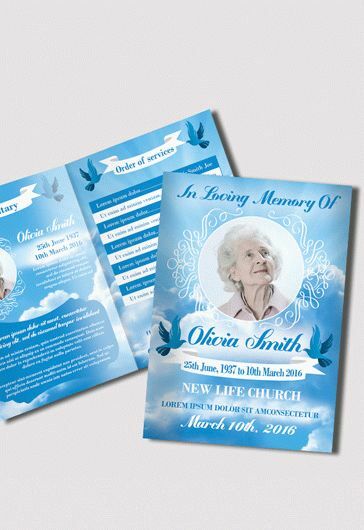 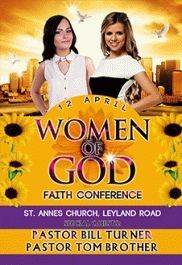 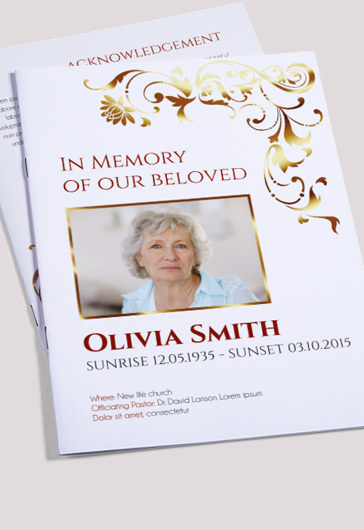 You can easily customize it in Photoshop to fit your needs and funeral program. 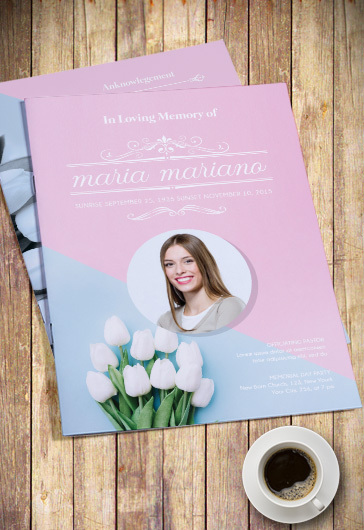 Download this elegant and minimalistic funeral program PSD brochure to create a funeral invitation.